The most abundant inshore species, redfish provide anglers with excellent year around fishing opportunities in South Carolina estuaries. During the cooler months, redfish form massive schools in shallow water that offer protection from hungry Bottlenose Dolphin which offer excellent sight fishing opportunities. 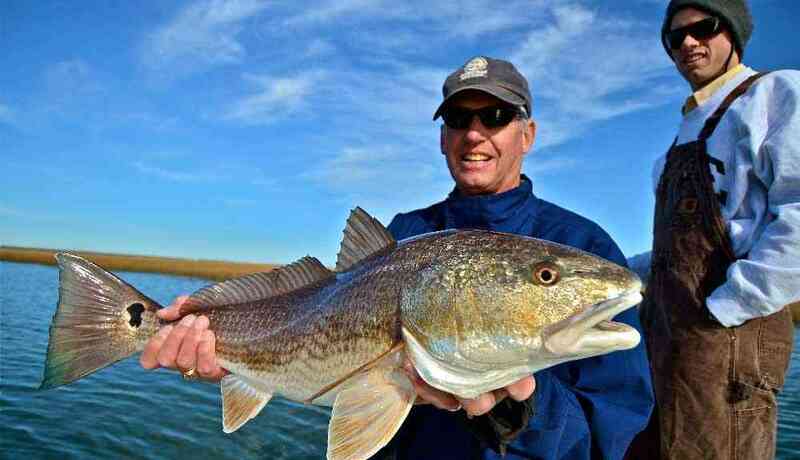 Warmer months offer plenty of options including surfishing for larger fish in the 20-40lb class, and Flyfishing for “tailing” fish on the flooded grass flats. Red Drum are the number one south after gamefish for recreational angers due to their ferocious appetite and powerful fighting ability. 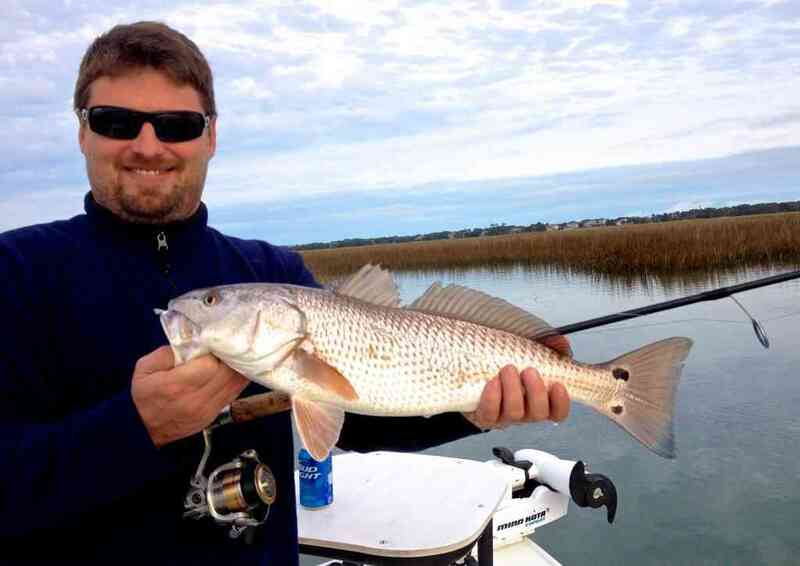 Redfish are typically caught with Light tackle spinning gear or 8-9wt outfits.